Sepsis is a common and high-burden healthcare problem with a mortality exceeding 20 % in severe sepsis and nearly 50 % when septic shock is present. 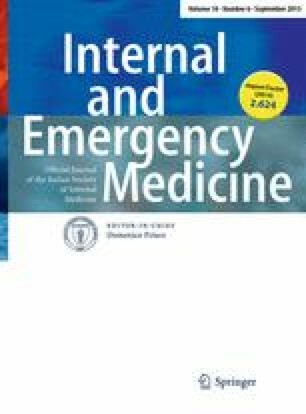 Early goal-directed therapy (EGDT) is recommended by sepsis guidelines as the standard of care following a landmark study by Rivers et al. alongside other observational studies. Three recent randomized controlled trials have questioned the Rivers’ results. The objective of our systematic review was to assess the effectiveness of EGDT in reducing the mortality of severe sepsis or septic shock. Relevant primary studies were identified by searching the MEDLINE and EMBASE databases and the Cochrane Central Register of Controlled Clinical Trials to identify randomized controlled trials assessing the effectiveness of EGDT for sepsis. Data from all trials were combined and analyzed using a random effects model. Five studies, enrolling a total of 4033 patients, were included in the meta-analysis. In-hospital mortality did not differ between the two treatment groups (RR 0.93, 95 % CI 0.77–1.11, P = 0.42), although moderate heterogeneity between studies was noted (I 2 = 48 %). A non-significant trend toward reduction in 60-day mortality in the EGDT group was noted (RR 0.93, 95 % CI 0.82–1.05, P = 0.22, I 2 = 24 %). Heterogeneity between trials precludes a definitive conclusion on the utility of EGDT in severe sepsis. Until further evidence is available, it is reasonable to consider EGDT in the care of patients with severe sepsis and septic shock. All procedures performed in studies involving human participants were in accordance with the ethical standards of the institutional and/or national research committee and with the 1964 Helsinki declaration and its later amendments or comparable ethical standards. This article does not contain any studies with human and animals performed by any of the authors. See Fig. 6 and Table 4.